Botswana Defence Force (BDF) funds, equipment and personnel are being diverted towards constructing and developing President Ian Khama’s private lodge at Mosu, on the southern shore of Makgadikgadi Salt Pans, a prime tourism destination. 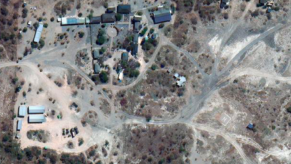 The INK Centre contracted a US-based commercial satellite imagery firm to capture a high-resolution image over President Khama property in Mosu. 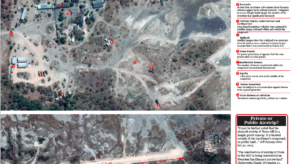 The image, together with six-month investigation provides fresh evidence that BDF is heavily involved in the construction of the president compound. 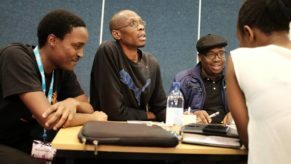 Botswana security agents on Wednesday afternoon briefly detained and threatened to kill three journalists from INK Centre for Investigative Journalism, a non-profit journalism outlet based in Botswana. The detention which occurred in the central part of Botswana appears to be an effort to intimidate and harass independent media in a country lauded as the shining example of democracy in Africa. Seven armed plain clothes security agents on quad bikes and SUVs barred the journalists near Mosu village, some 600kms north eastern Gaborone and warned them never to “set foot” near President Ian Khama’s private compound or risk death.